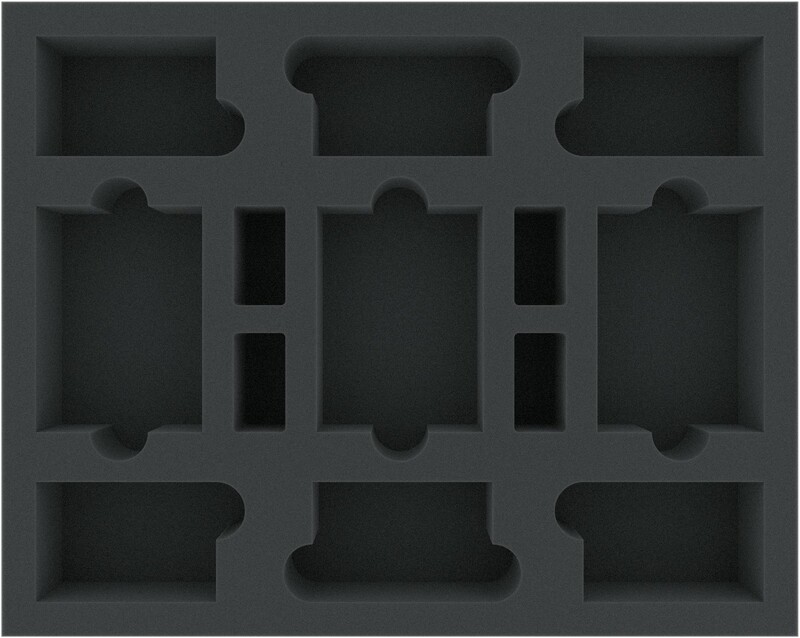 This foam tray features 13 compartments for accessories. 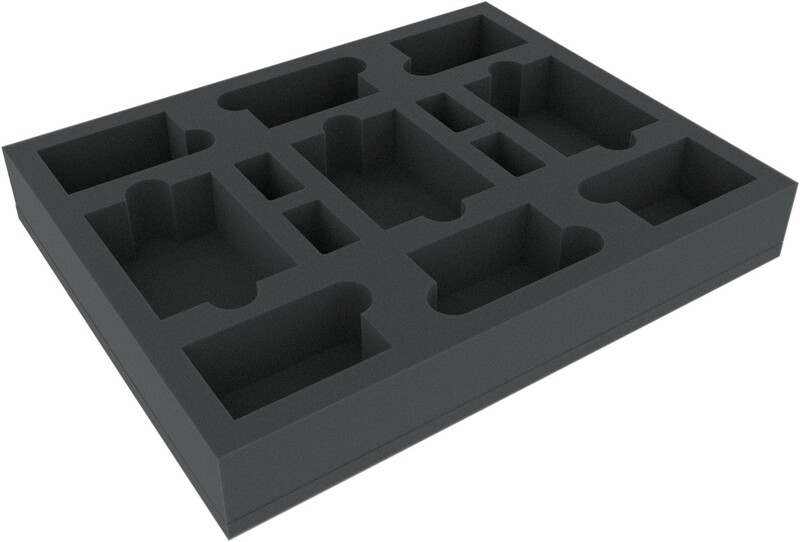 3 compartments are suitable for sleeved playing cards, 6 compartments will hold smaller cards and 4 further compartments are great for storing e.g. dice. fits in all Feldherr full-size bags and cases!